The Adler J5 is the first victim of heavy use. The ribbon advancement mechanism is broken and no matter how much I jiggle, poke, and prod the ribbon won't more. I am sure that there is a reason why, but I am not gifted enough to fix it. This leads me to my title "Letting Go." I am not lamenting the Adler J5. It wasn't my favorite or the favorite of the kids, but I have to get used to the idea that these are not meant to be museum pieces. They are to be used by people. Students will use them rougher than I would and all I can do is remind them to be gentle because they're old. When these machines were new, did people treat them gingerly or did they use them as tools? I imagine most were used as tools. As a collector I see the value beyond their use as a tool. To me they are beautiful objects that sit on shelves and are to be admired. 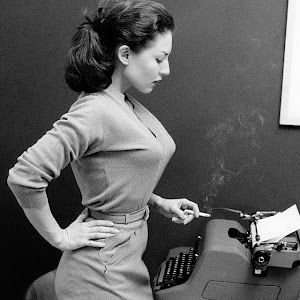 Yes, I like to use typewriters, but I use them gently with a great deal of respect. These typewriters are intended to be used by students and they might get broken. Things happen. I need to be at peace with that and be willing to let go. P.S. I don't want anyone to think that my students are ham-fisted cretins who grunt like a neanderthal. They are, to a large extent, taking good care of the typewriters. These machines were designed to last. And lasting they are. "I really want one of these." I feel that during the past week my spelling has improved. I feel that my writing is improving. I am a poor speller. The computer is better to write on. I feel that my writing has more meaning. I would use a typewriter on school assignments. Apart from being slightly blurry (I don't know why) you can see some interesting trends. There is a general like of using the typewriter in class. As well as a general feeling that the use of the typewriter imparts a greater sense of importance to the student's writing. 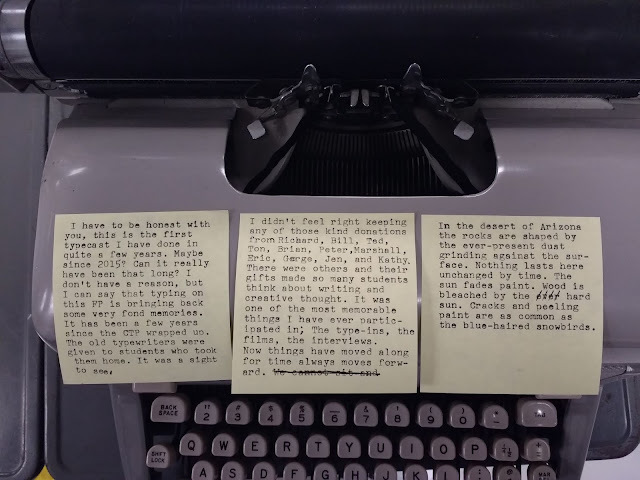 There is an interesting tidbit: there is no clear benefit, as seen by the students in the project, in a typewriter over a computer when used for composition. This is a direct refutation of the assumption that all progress is good progress. Hmmmm. Part of the Classroom Typewriter Project is getting children excited about typewriters and the creative process. That goal is measured trough the Weekly Typewriter Inventory. This survey is 7 simple statements that students mark the degree to which they agree. 75% of students responded with "Strongly Agree" when asked if they enjoy using the typewriter in class. The remaining 25% agree with the statement. No participating students marked Neutral, Disagree, or Strongly Disagree. 50% of students responded with "Neutral" or "Strongly Disagree" when asked if a computer is better for composition than a typewriter. 63% of students responded that they feel their spelling has improved with the use of the typewriters. I did ask for a follow-up and some responded that an inability to easily correct mistakes has made them more deliberate in their spelling. I want to wait for another inventory to see if the numbers hold fast, but there is a like of using the typewriters. 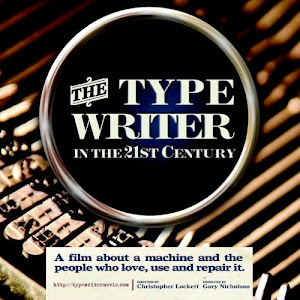 The farther that I go into this project the more I think that some students have preferential methods of writing and that the responses may be linked to personality and likes that an innate benefit of the typewriter. Could this just be a restatement of the research that Ben Wood and Frank N. Freeman did on typewriters in classrooms during the 1930s? We'll see. I think I'll do a separate post about that particular piece of research. It really is interesting. UPDATE: I have further broken down the results which will be clarified in another post. Right now all the typewriters have ribbons and are ready to use. I have cleared off a shelf for them and they are displayed proudly. The shelf makes it easy to take them off for use and easy to put them away again. There is also a Smith-Corona that is on another shelf. 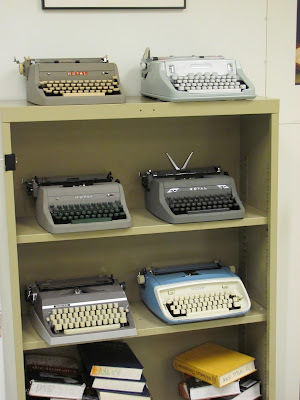 Did you know that 7 typewriters going during a class period makes a good ammount of noise? Well, I am here to tell you (from first-hand experience) that it does. Eric, a Valley resident, has donated three nice older typewriters to the cause. Two Royals (fun!) and a Smith-Corona. That brings the total number of typewriters in room 1131 to 7. That's not too bad. I'm going to unbox and get them ready for use. A kind gentleman has heard of our project and is donating two more portables to the project. They should be here on Wednesday. I have been thinking that we might need a little gallery of our typewriters. Someone out there might like to see what we have. On another note, teaching is an interesting profession. On a regular basis you can expect an administrator to come by your room to see how your lesson is going or do do an official observation. Depending on how long you have been a teacher the number of observations changes. Initially it is two a school year. For me, I am so far in it that the number of observations is one a year. Our district is a fan of the surprise observation. Sometime during the year an administrator will come by with a decidedly scary form and start assessing your teaching. Do you have a standards addressed lesson? Are you employing into-through-and beyond teaching strategies? Are the students engaged? There are lots of education buzz-words. This year my evaluator is the principal and she came in on Friday to have a quick walk-through. Nothing unusual except there were 3 kids typing on typewriters. She didn't say anything about it, but I know that in her mind she was thinking, "What the cuss is this about?" People have two reactions when I tell them about the project. One one hand there are supporters who think the idea is intriguing. On the other hand are people who think I am strange. That's alright. If anything it's fun to hear all the typewriters clacking. I have designated Wednesday as the day we start typing journals full time. Right now, the typers will be using the machines on a rotating basis until we have enough to have one student per typewriter. I am waiting until Wednesday so I may have time to go to various office supply stores in the Valley in effort to stock up. I intend to buy some from Jay Respler, but time is of the essence and mailing order forms back and forth would be too much. 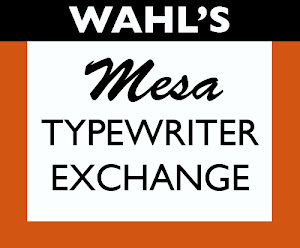 I am going to call Mesa Typewriter Exchange and see if they happen to have any in stock. I imagine that they might be a bit more expensive, but I have been wanting to make my way over there for some time. I have talked with Bill (proprietor) and he says that he has some pretty cool machines for sale. His prices are certainly dearer that what you could find on eBay or Craig's List, but the machines from his shop are restored by someone who knows what they are doing. I have heard tell of a pink Royal FP that needs a good home. Those who know me know that I have a weakness for Royal machines. The conservative lines and heavy construction (McBee era and before) speak of a time when a business' bottom-line was less valuable than their market reputation. I know that Royal never set the world afire with Magic Margin (this blog's namesake) but they made respectable machines. I will say that they Royal Safari and the Quiet Deluxe (a Richard Polt gift) are the most popular machines in our classroom collection. Well, the results are in. I have created a handy chart to convey this information. As you can see there is a nice curve that peaks in the D range. 11 students in the testing group earned a D or F﻿. The remainder (9) earned either an A, B, or C. If you consider a D passing, then around 75% of the students passes the spelling test. 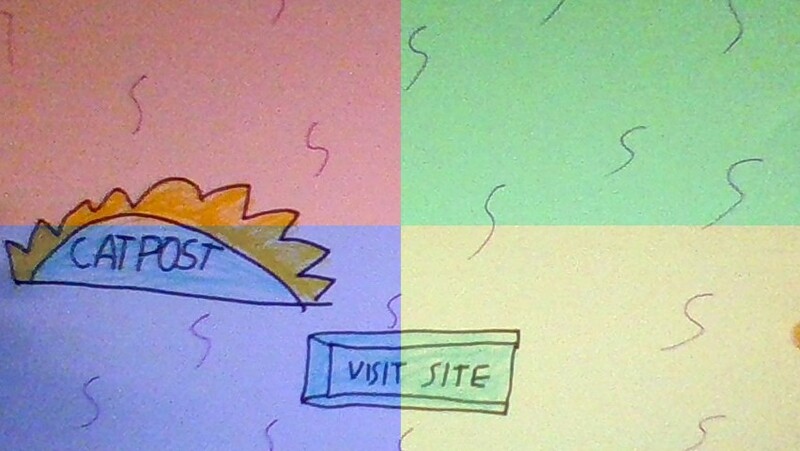 For this project I am not going to consider D a passing grade. This makes the percent passing quite low. It would be around a 45% pass rate. That is a much more in keeping with the spirit of the project. What does this mean? Well, looking a the actual tests, I can say that they were much better at choosing a correct word given two options. The tricky part is when they had to identify the correctly spelled word from a list of unrelated words. The total number of errors in the second part of the test is almost 57% higher than in Part 1. Overall- they are below average spellers. The average percentage on the test was a 68. I would hope that the process of using the typewriter would raise that at least 5-10 percentage points. 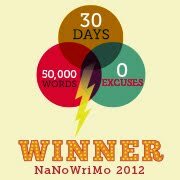 As soon as I get the ribbons I need (three more) we will be able so start typing journals. I plan to get that started on Wednesday of next week. I have just handed out the 14th spelling pre-assessment. The students are taking them at home an promising not to cheat. We'll see where their spelling is. Today K. (one of my students) came by to get some makeup work. She brought her friend B. from another class period. K. saw the Royal Quiet Deluxe that Richard Polt sent and immediately asked if she could use it. After finishing her work, K. and B. spent about 15 minutes typing messages back and forth to each other. They seemed to be having fun. The entire time K. was saying, "I really want one." 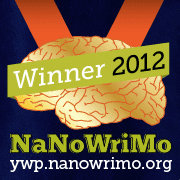 I guess there is hope for the future and it comes by way of the lowly typewriter. As the pre-test is done and I will be handing it out, I thought it might be fun to let people see it. With the data I hope to create a baseline score; a picture of an average Alhambra student's spelling. I am sure that you might be wondering why I have chosen spelling as the indicator over something like sentence structure or over-all performance increases. My concern was the ease in measurability and the nature of what I want to prove. Spelling is concrete and an important part of the writing process. I agree with some who say it's not the most important part, but it is a part. It's also a part with which my students struggle. Moreover, I wanted to have them do a self-assessment of their spelling ability and something with a clear delineation between right and wrong would make the self-assessment more accurate and easier to complete. What I want to prove is that the typewriter is unlike the computer. I have a feeling that the typewriter's mystical, mythical, and mechanical nature will awaken something in the students. I hope that the typewriter can help make them want to write. Regardless, here is the pre-test. You may begin. Is the Adler J5 Junk? I am hesitant to cast aspersions on any typewriter, but as I become more intimately familiar with the Adler J5 I cannot shake the feeling that this thing is a little junky. I'll definitely use it for the CTP, but I don't have high hopes for it's durability. Oh well, beggars cannot be choosers. UPDATE I feel as If I have been to hard on this little grey soldier. He's a nice guy who's helping us out. Also, I have a tendency to anthropomorphise objects. Sorry. I have finished the Spelling Pre-Assessment and have sent it over to the copy center. It should be done in a few days. Monday after 7th hour is the informational meeting about the project. Students who are interested in participating for extra credit are to report to my room. When they arrive I'll go over a brief introduction and tell then what they will be doing with the typewriters. We'll see how interested some of them may be. I must start thinking of a series of interview questions about how students feel about their work. I want to come up with some basic idea (apart from the quantitative evidence provided by the self-evaluations) of how the typewriter impacts (a pun was intended) a students perception of his work. I do need to find some basic care and feeding instructions about typewriters. I thought that I remember the US Army had some field manual about typewriter care that might be useful. I'll post to a couple of the groups to see if anyone has an idea. The Adler J-5 has been on the workbench (actually the counter in the laundry room) annoying my wife to no end. 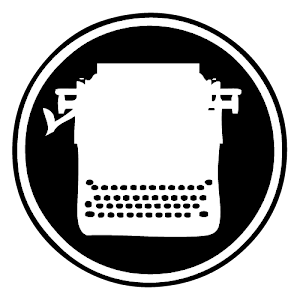 I finally worked up the gumption to attack some of the problems that made it unusable for the CTP (Classroom Typewriter Project). The Adler J-5 came from the Goodwill with some, what seemed, minor problems. The backspace didn't work, the carriage return lever was bent awkwardly down, and the platen was missing a knob. The first problem; backspace. I had looked at this briefly before I was distracted by other things. What I discovered was a missing spring on the escarpment mechanism. I didn't have any tiny springs but my wife does have those plastic no-pinch rubber bands. I took the smallest one she had and looped it around the spring post and the backspace bit and bob's-your-uncle. Next, I had to disassemble the carriage decorative panels to get to the carriage return lever mount. Brute force and caution fixed that. Now it looks as it should. Finally, the platen knob. The original is lost to the world of Goodwill. I am going to head down to Ace on Saturday and see if I can find a suitable replacement. It needs only to be usable. The aesthetics are inconsequential. Another one ready for the classroom!